Join Navy veteran Cathy Maxwell, Navy spouse Anne Elizabeth, and Air Force veteran Kim Lowe for a driving tour of Navy Base Coronado. We’ll drive by historic sights such as “Camp Trouble,” where Naval aviation was born. We’ll walk in the footsteps of the first commander’s wife, Wallis Warfield, who later became the Duchess of Windsor. Today, Navy Base Coronado is a consortium of eight installations providing support for 16 helicopter squadrons, two fixed wing squadrons, two aircraft carriers, four SEAL Teams, and Navy Expeditionary Combat Command squadrons. 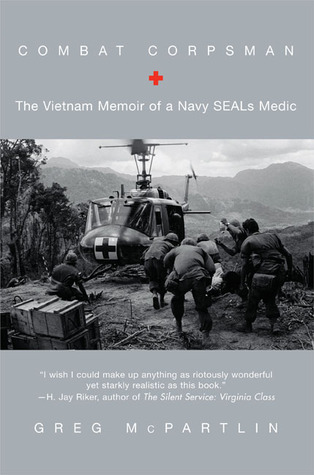 Our tour will give you a glimpse of military life with a retired Navy SEAL as our narrator. I thank those who made this possible - Heather Ashby, AJ Brower, Anne Elizabeth, and Cathy Maxwell. - We watched helicopters hover over the flightline. - We noticed decoy coyotes on the flightline to keep the birds away. - We wiggled our toes on Breakers Beach. - We spotted the current BUD/S class repelling over the sand dunes along the Silver Strand. - We stopped at McP's Irish Pub for refreshments; the pub is owned by former SEAL Greg McPartlin, author of COMBAT CORPSMAN. On Wednesday night, RWA hosted its annual Literacy Signing, raising over $39,000 for literacy programs (and over $1M as a cumulative total for the signings). RWA donated several boxes of books to the USO - thank you! I thank my sisters in arms - veterans turned authors - Heather Ashby, AJ Brower, Megan J., Merline Lovelace, Anna Richland, and Tamara W. for boxing up the books for our military families. 1. 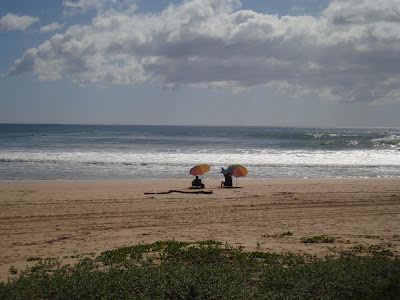 Leave a comment about your favorite beach - Breakers Beach reminded me of Barking Sands on the Navy's Pacific Missile Range on Kauai. 2. Comments are open through Saturday, July 23, 10 pm in Baltimore. 3. I'll post the winner on Sunday, July 24. I enjoy the beaches on the Isle of Palms, SC - nice & wide and not too crowded - plus lots to watch off the shore like ships and para-surfers. Hmmm, good question. I actually haven't been to many beaches! But here I adore the one we camp at. Ludington state park. Gorgeous sunsets! I like La Jolla Shores and Windansea here in San Diego! Don't go any more, but Jones Beach was my favorite and of course would love to see Hawaii's beaches. The only one that I've been to more than once is Cocoa Beach, FL. My favorite beaches were both small and relatively hard to get to. First was on the north end of Fern Lake in the Adirondacks. There were camps on the lake, but that end belonged to the lumber company. It was also the only section of shore that had white sand. The only way to get there was to hike in or go by boat. The second was on the east side of Valcour Island in Lake Champlain. A nice sandy stretch only accessible by boat. Coolum Beach on the Sunshine Coast is incredibly beautiful. Out go to holiday place. Emerald Isle in North Carolina. It is beautiful. I do like La Jolla beaches but they can be crowded. I've really only been to a few. But years ago when I lived in Florida, the beach in Fort Lauderdale was a favorite. I've been to several in North Carolina that were nice but don't remember the names. No fav; dont go much. Emerald Isle and Myrtle Beach are my favorites. Any beach I'm lucky enough to be on. ;-) Seriously, I don't have a favorite beach. Any in Hawaii; have been a few times. Been to Hawaii on our honeymoon, so love those beaches.